Since the printing of the Winter 2010 issue of the EMC Newsletter, it saddens me to report that Doug Robertson passed away. Many thanks to Hugh Denny who provided the following tribute to Doug. I would like to continue to solicit your support in helping me receive the names of EMC Society members that have recently passed away. You can either forward them directly to your local Chapter chair, or if you don’t know who that is, you can forward the names to me (d.heirman@ieee.org) or a member of the Completed Careers Committee directly, including Bruce Archambeault, Don Sweeney, and Andy Drozd. See page 3 of this Newsletter or the EMC Society website (www.emcs.org) for contact information of these committee members. Thank you in advance for your assistance as we honor EMC Society members who have completed their careers. Doug Robertson, age 85, completed his career on February 18, 2010. Born a “small town boy” in Crawford, Georgia in 1924, Doug left home in 1941 to attend radar school and then joined the US Army Air Forces, where he performed early radar research and repair during WWII. After the war, he entered Georgia Tech where he earned a degree in Electrical Engineering and subsequently joined the Engineering Experiment Station (EES) at Georgia Tech, which is now the Georgia Tech Research Institute. 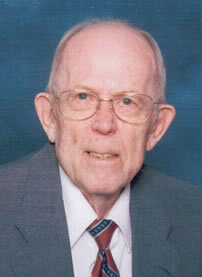 He retired from GTRI as the Director of the Electronics Technology Laboratory in 1982. His early research was focused on determining the characteristics of crystal resonators and on the development of VHF crystal controlled oscillators. He subsequently led an effort to develop an articulation scoring machine for evaluating the performance of voice communication systems in the presence of noise and interference. He became the Director of the Communications Division of EES in 1962. Under his leadership, electromagnetic interference research expanded markedly. A program for the US Army Signal Corp developed the EMI measurement techniques for determining the spectrum signatures of communications equipment. Initially aimed at AM and FM voice communications systems, follow-on efforts ­expanded the techniques to handle PCM and microwave equipment. The results of this program were incorporated into the original MIL-STD-449. Many of the measurement practices were later incorporated into early variations of the MIL-STD-460 family as well. Several innovations in screen room measurements to include hooded antenna and compact antennas were also developed during this period. In addition to being a charter member of the IRE Professional Group on Radio Frequency Interference, he encouraged and fostered staff support of IEEE EMC Society activities which included organizing and hosting the 1978, 1988 and 1995 EMC Symposia in Atlanta. 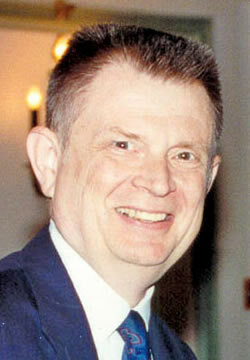 His mentoring, moral and financial support of the EMC Society culminated in three members of his staff being elected to the Board of Directors (James C. Toler, Don Clark and Hugh Denny), two members elected as President of the Society (James C. Toler and Don Clark), and three GTRI faculty being named IEEE Fellows from the EMC Society (James C. Toler, Don Clark and Hugh Denny).